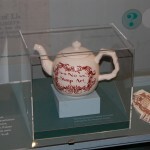 Commonwealth of Massachusetts Museum and State Archives - Dorchester (Boston), MA - Take a day trip! Charter of the Governor & Company of the Massachusetts Bay Colony (1629): This document is the original charter for the Massachusetts Bay Colony brought over by John Wintrop. combined Massachusetts Bay, Plimoth Plantation and several other settlements that stretched (for a time) all the way to Nova Scotia into the Royal Colony of Massachusetts Bay. Constitution of the Commonwealth of Massachusetts (1780): This is the oldest still-used governing document in the world and was written by John Adams. Original Copy of the Bill of Rights (1789): When the Bill of Rights was created and sent to the original 13 states for ratification 14 copies were made; one copy for the federal government and one copy for each state at the time. 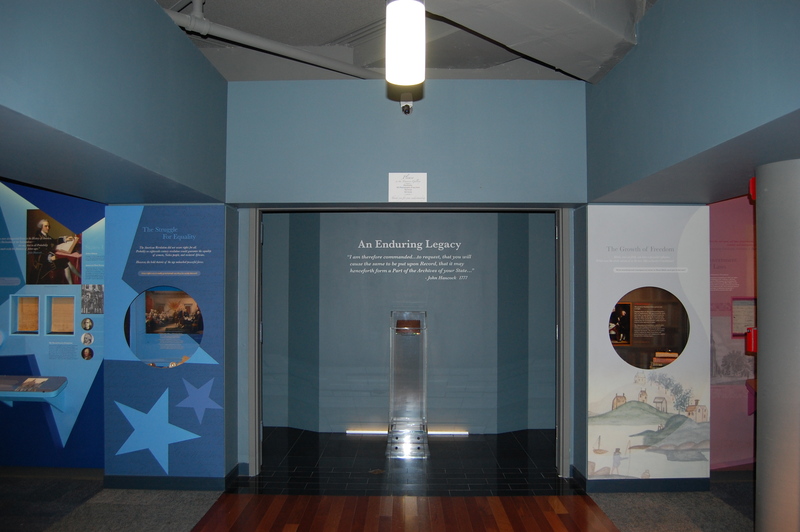 The federal copy is on display in Washington DC and the copy sent to Massachusetts is on display in this room. Original 1777 ‘Goddard Print’ copy of the Declaration of Independence: After the Declaration of Independence was signed, 14 original copies were made and sent to the states. There are 4 of these Goddard Prints, named after Mary Katherine Goddard (who printed them and was the first female postmaster in the United States) left and one is in this room. Original Paul Revere made Boston Massacre engraved copper plate: This plate was engraved by Paul Revere with an impression of the Boston Massacre and used to print images. 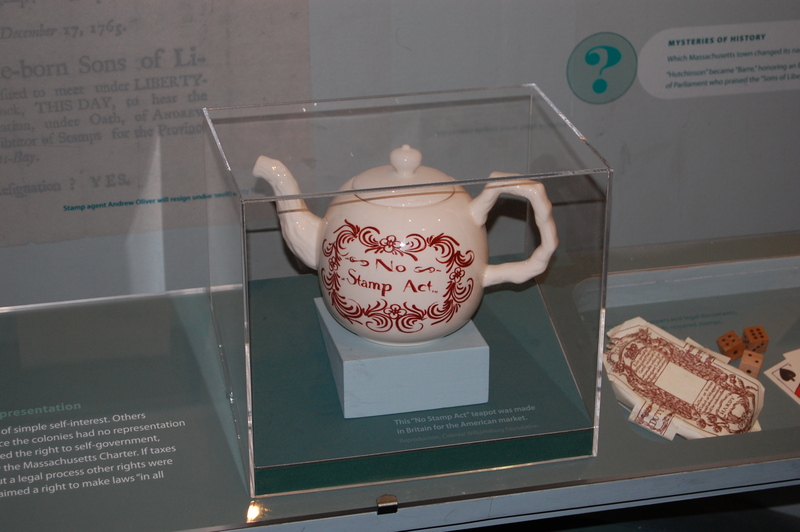 Anti-stamp act Teapot from the Colonial Era from the Commonwealth Museum in Boston. 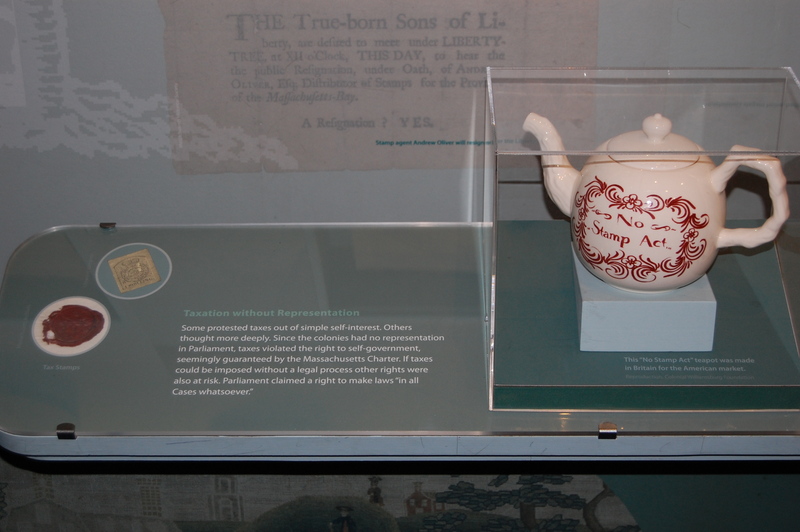 The items in the Room of Treasures are easily the highlight of a visit to this museum, however there are other exhibits and a film that you can enjoy as well. 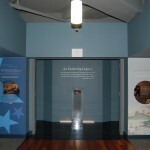 The other exhibits are divided into 4 major rooms that outline the pre-colonial and early colonial history of Massachusetts, Colonial and Revolutionary War era history, expansion of what rights are considered basic rights and expansion of the definition of who deserves basic rights. There is a lot of history here and interactive exhibits that both adults and children will enjoy. Admission to the Commonwealth Museum and State Archives is free and they are open from 9 AM to 4:45 PM Monday through Friday excluding state holidays. I’d checked their website or facebook page to make sure they’re open or to get an update if you want more information.